What a movie! 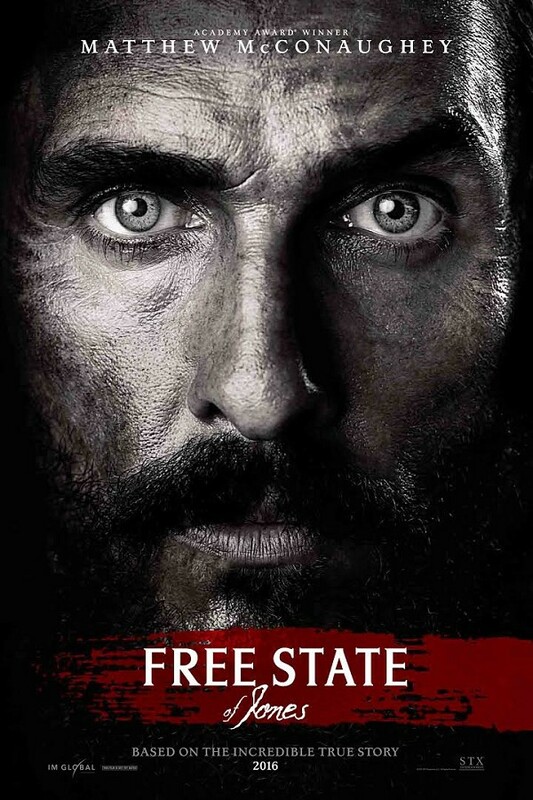 "Free State of Jones" is a very moving and emotional movie. Starring Matthew McConaughy as Newton Knight it centers on his fight against a local corrupt Confederate government. It starts off showing a battle during the Civil War. The camera leaves nothing to the imagination. It is very raw and brutal. Knight becomes a Confederate deserter and returns to his home in Mississippi. On his way he is helped by allies both black and white. The movie also moves back and forth to 1950 to show a great-grandson on trial for breaking a hateful southern law. The supporting actors do a marvelous job. Gugu Mbatha-Raw is Rachel. Keri Russell is his first wife Serena. Mahershala Ali is his close friend Moses. It is a very powerful movie that is a true story. In fact three of Knight's descendants had parts in it. They were all very proud to be in a movie about their family and hometown. It does take a little poetic license but all-in-all it was quite accurate.